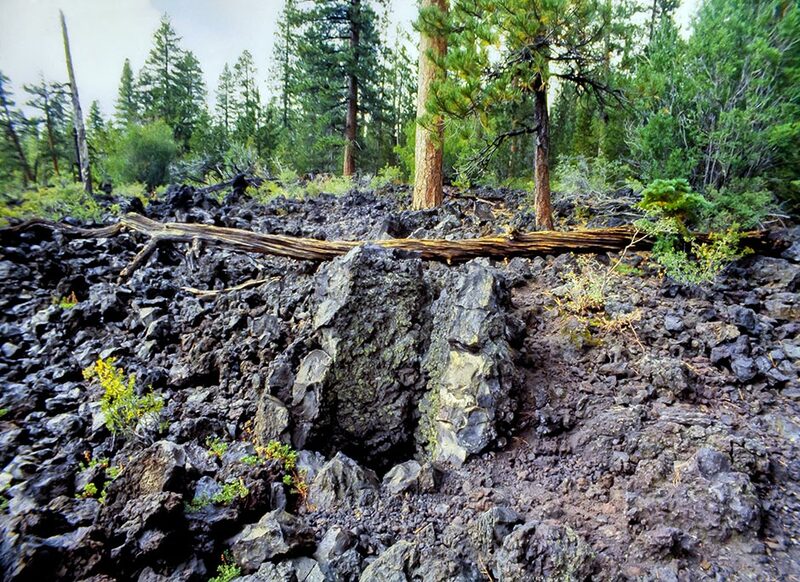 The Lava Cast Forest is in The "Newberry National Volcanic Monument". The lava flows include tree molds. The lava burned through a tree and cooled into casts. Yes, it was 7,000 years ago. This High Lava Plains picture was taken in 1988; the casts are fast disappearing. We take PayPal or personal check.